It's that time again! We had such a fantastic time with you at our sold out Ladies Night last year, we're doing it again! Join us for another Ladies Night at Pomme Nanaimo, in support of Nanaimo Women's Resources Society! 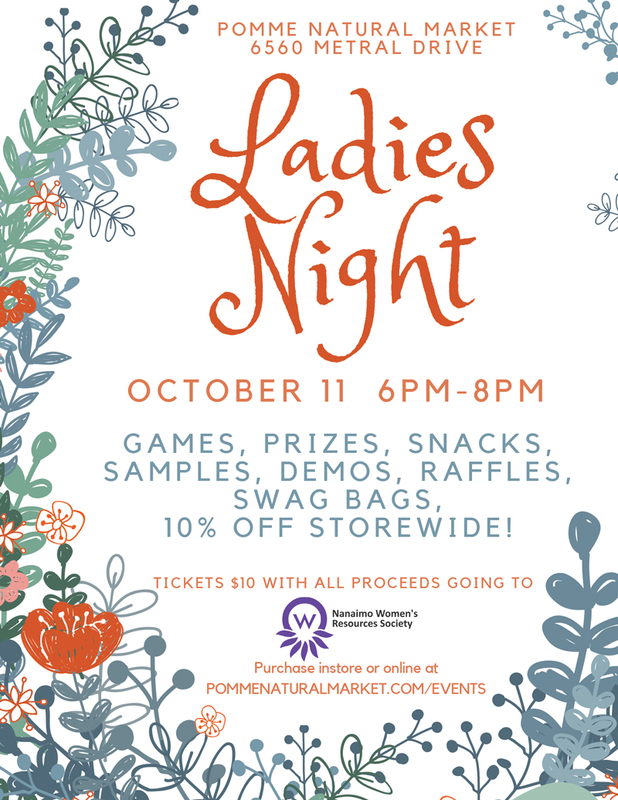 Everything in the store will be 10% off, and we'll have tasty natural snacks to nibble, swag bags to take home, games, spa samples, prizes, gift basket draws and exclusive offers! All proceeds from ticket sales will go to Nanaimo Women's Resource's Society. Demos for the evening are as follows! Moonshine Mama's will be creating Mocktails with their Turmeric elixirs!